Little Seed Gardens is a 97 acre family run farm in the town of Chatham in Columbia County, situated on rich bottomlands at the confluence of two creeks. Farmers, Claudia Kenny and Willy Denner and their two children, tend vegetables, cover crops and pasture. We are committed to agricultural practices that protect land and human resources, build biological diversity, and produce quality food for our local communities. Our food is grown without synthetic insecticides, fungicides, herbicides or fertilizers. 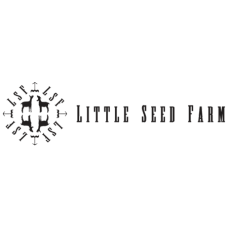 Little Seed Gardens is certified organic by NOFA-NY Certified Organic, LLC. As farmers we work to sustain the land for future generations. Products: 120 varieties of vegetables and grown year round.